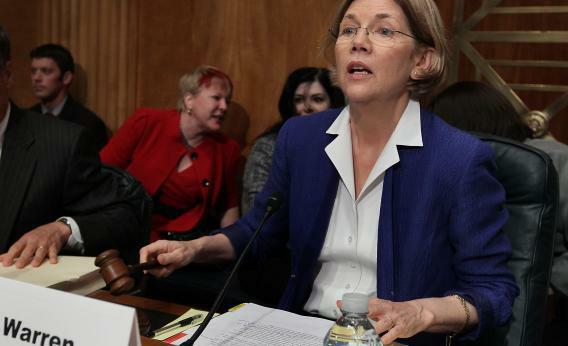 So: Elizabeth Warren sits for an interview with Left Ahead!, a liberal Massachusetts podcast. * Interviewer Mike Ball cracks wise with her. BALL: As a fellow person who was born in Oklahoma and raised in West Virginia, I’ve been called a hick myself a lot. I’ve got to say I’d love to see you in office. WARREN: I’m going for the hick vote here, I just want you to know. Maybe we could start wearing stickers that say “Hicks for Elizabeth” – could we do that? That’s sort of misleading! Out of context, it would sound like snobby Warren is making fun of those from lesser means. In context, she’s riffing on the attacks made against her. Catanese actually acknowledges that this is unfair. In context, Warren appeared to be adopting the “hick” label for herself, as a way to combat the charge she’s an out-of-touch Ivory tower elitist. But the short clip above showing her laughing could be easily chopped up and left open to interpretation. It could, indeed, be chopped up. Why do it, though? When someone inevitably attacks Warren with this, why not point out the obvious truth – that she’s not making fun of “hicks?” Campaigns may assume that voters are lemmings and nitwits, but reporters don’t need to. *Side note: Why is the intro for BlogTalkRadio spoken in a British accent?